"How can I keep my Outlook contacts in sync with Gmail contacts?" If you want to sync Outlook contacts with Gmail contacts, there are two ways you can do it. You can do it the hard way, where you export your contacts from Outlook and then import them into Gmail. This becomes a hassle if you maintain contacts in both places, because you will invariably end up with duplicates. 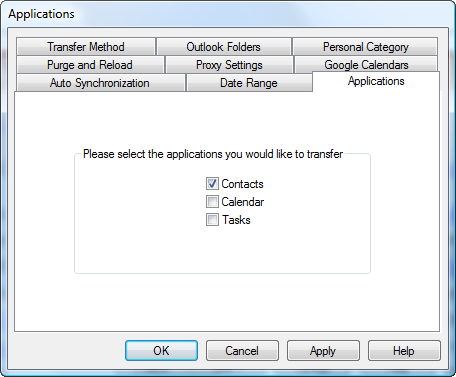 The easy was is to sync Outlook contacts by using software to keep the two contact lists automatically up-to-date. Contact sync makes more sense because you won't run into the problem of needing to constantly de-dupe your contact list in one or both locations. CompanionLink is the software I recommend to sync Outlook contacts with Gmail. To get the job done the first thing you need to do is download CompanionLink and install it on your computer running Outlook. After you install CompanionLink, you add your Gmail sign in info to the application, choose how often you want to synchronize your contacts, and CompanionLink does all the work to keep things synchronized. In addition to Contacts, you can also sync your Outlook Calendar with Google Calendar, as well as being able to sync scheduled Tasks from Outlook. See also: If you want to import messages from Outlook to Gmail, see this guide on how to add Outlook email to Gmail.